I believe the only thing for me that is more precious than that glorious bedtime; that time when we are all winding down and feeling relaxed and at ease, are mornings. I love the sound of those little feet hitting the floor at the crack of dawn. Hearing their first words of the day..."Momma, I'm awake!" I know, I'm a mushy momma! But, bedtime is so important. It really is. To have some sort of routine. Something that helps them know that this time is needed, for them and yourself. I know every night won't be the same. Schedules change, kids get sick, they have needs and demands that come up as the clock ticks on. You're tired, you have things to finish up. We've all been there! So, on those nights that do go as planned, make it a good time to bond. Take advantage of those moments when they know your sole focus is on them and that you cherish this time. 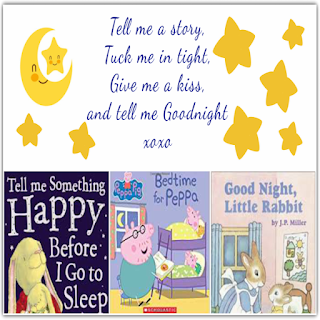 Sharing a story with a child is one of the best ways to share some time with them. We read a TON of books around here! I even started a Goodreads account for little E a while back. It helps me to keep track of most of the books we've read together. I realized when sorting through her books and trying to get them organized that we really do have a lot of books about bedtime. That seems to be a theme that we both enjoy and they really do help her relax and want to listen to the story. A few of our favorites, or ones that we seem to read and re-read, over and over are listed below. *This post contains affiliate links. by clicking on a link and making a purchase, I will receive a small commission at no additional charge to you. 3. 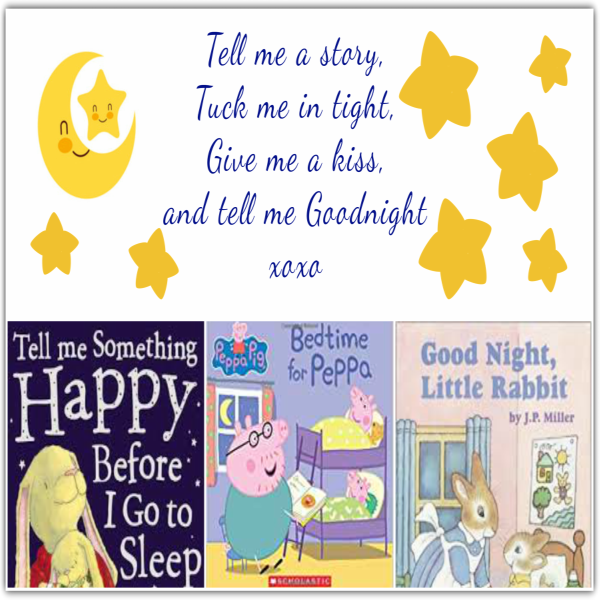 Good Night, Wonder Pets by Simon Spotlight/Nick Jr. 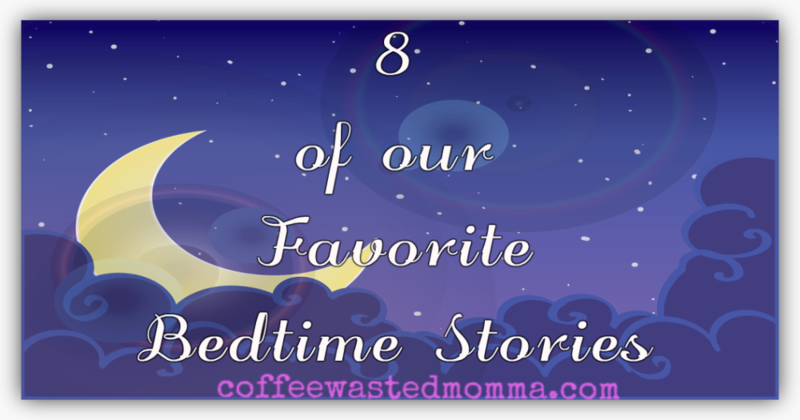 I hope you enjoy our list, and make reading a time to bond with your little ones. 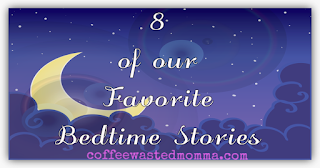 It doesn't have to be bedtime stories, or even a book! Tell them a story that you remember from your own childhood, share the when I was little stories with them. You can even have them help you tell a story. Give them an idea and see where they go with it. I have found so many wonderful books all around. Yard sales, library sales, discount shops, thrift stores, online, and even given to us by friends. If you look, you can find a book! 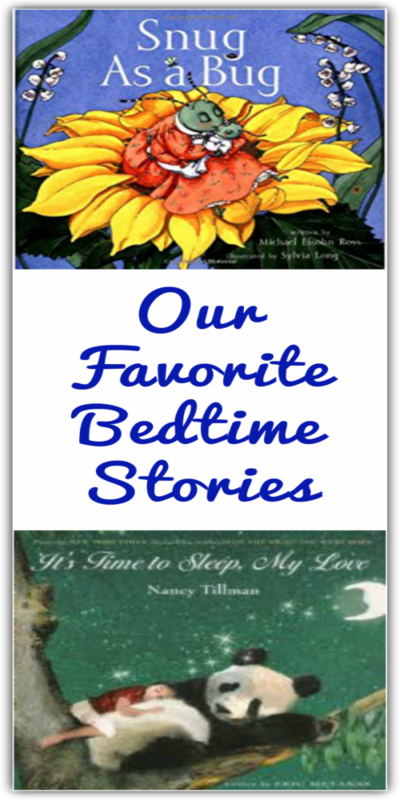 What are your child's favorite books about bedtime? Please share! We're always looking for new stories! 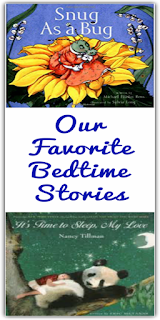 Some of these stories look adorable. I will have to see if I can find them online for the children.